Firefighters will be trained to carry out basic health checks and remind elderly people to get flu jabs during home visits to check smoke alarms, under plans to ease the strain on the NHS. 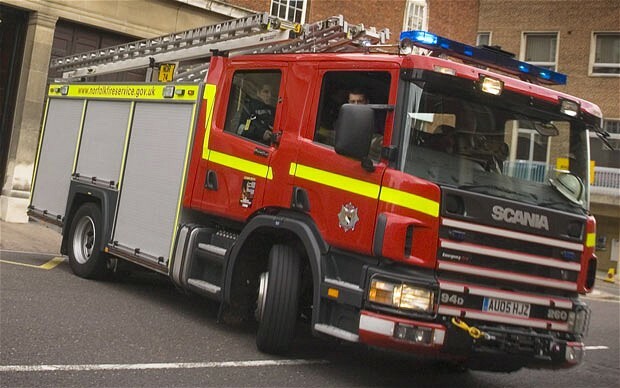 The fire service already carries out 670,000 fire safety checks in homes each year and Simon Stevens, the chief executive of NHS England, said it now planned to “piggyback” on these visits in order to relieve pressure on the health service. Fire crews would be expected to identify trip hazards, check that homes are heated properly and remind people about immunisations, under plans agreed with the Chief Fire Officers Association (CFOA). They could also be trained to look out for other health issues such as eyesight problems in order to encourage people to seek medical help, under the new partnership. The deal comes after accident and emergency departments faced sustained pressure last winter, with waiting time targets missed for 33 consecutive weeks from last September to May.